Consumers should be on the lookout for an entrapping and misleading document circulating and being widely referenced on the Internet entitled, “Business Guidance Concerning Multi-Level Marketing.” It purports to offer guidelines for legal and legitimate “multi-level marketing” companies. It is being referenced by “MLM” companies to validate deceptive practices. It is a smokescreen for protecting pyramid schemes. If followed, the “guidance” leads to virtually certain financial loss for a consumer. A brief factual analysis reveals the document to be deceptive, misleading and disingenuous. Its contradictory double-talk produces a state of confusion. Presented as a “guide” it guilefully leads the reader toward investing in MLM. It turns out that this “FTC” has a long and close financial relationship with “MLM” and the DSA. The recent chair of the FTC is now on staff of Herbalife as are several other “commissioners.” Other top level officials have become lobbyists for MLMs or work for law firms that represent MLMs – protecting them from prosecutions and consumer lawsuits. MLMs and their law firms are a lucrative career path for some FTC officials. As the “guidance” document shows, the FTC protects MLM, using “fool the consumer” tactics, refusing to investigate the MLM industry, and by failing to prosecute or even to respond to consumer complaints, research or class action lawsuits against MLMs. 1. Called “guidance”, it has no legal standing and therefore no purpose – other than to confuse and mislead. At the end of the document, presented in Q&A fashion, it asks: Are the answers in this document legally binding? It answers its own question: No, this … guidance… is not intended to, and does not, create any rights or obligations with respect to the Commission, the FTC staff, or the public. In other words, If you think it “guided” you, and you lose your money as a consequence, the “FTC” is not responsible! And, if the “FTC” itself does not follow the “guidance,” you can’t complain about it. 2. Supposedly about “muli-level marketing”, the document confuses the consumer by not defining “MLM”. 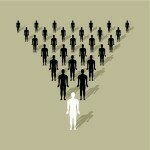 To the question, What is multi-level marketing? the document offers the very same disguise used by MLM recruiters to set the financial trap, one that covers up the reality that rewards depend totally on recruiting, not retailing. Previously, the “FTC” officially defined “MLM” as a sales business in which participants earn profit on their own retail sales and the retail sales of all others on their chain of recruits. But, recent revelations in the Herbalife case showed that virtually no one was making a retail profit. Herbalife is one of the oldest, largest and most representative of MLMs. An investigation revealed that the money gained by top recruiters came from their recruits’ purchases, not their retail sales. The only way to make money was to recruit and get your recruits to buy as much as possible. Retailing was a sham. Notice what’s missing from the definition? How people get paid! The classic and defining MLM compensation plan – the one thing that all MLMs share and which them MLMs, and which drives MLM’s hallmark recruiting and the purchases (without sales) made by the participants – is left out of the definition. The claim that “MLM” is “direct selling” is how consumers are lured into MLM as a “legitimate” business. Soon, they discover it’s all about purchasing and recruiting. This is the classic fraud. Yet, the “FTC” does not include the word “retail” or “selling” in the “definition. This is dishonest. This is cover-up. And so on? And so on… what? The “so on” is the impossible and deceptive promise that lures millions of new recruits at the end of the chain where they will lose money while trying to recoup their investments by recruiting friends and family, who will lose money. 3. The Guidance” separates “MLM” compensation from the definition, as if each MLM’s plan was unique. In fact, all MLMs promote same income scheme. 4. After acknowledging that what is universally practiced by “MLMs” causes widespread consumer harm, the “FTC” states it will not look at the MLM industry, but only MLMs one at a time – to protect the industry from harm! Since 1980, the FTC has prosecuted only about 30 MLMs for operating pyramid schemes, out of hundred, perhaps thousands of MLMs and all were smaller schemes. Yet, small in size and numbers, they harmed millions of people. Recently, under intense public pressure and revelation of wrongdoing, the FTC prosecuted one of the oldest, largest and most well known MLM, Herbalife, for engaging in practices identified with pyramid fraud. Yet, the document states none of this history will prompt the FTC to look at the MLM “industry”. The “guidance” states the FTC will not do so in order to protect the “entire industry” from “unintended consequences” – at the expense of the public.